Conscious Movement is always looking for high quality new content to share. If you have some great tips to share with our readers on any of the topics we discuss here. Send it our way! We do not accept paid guest posts but we do offer one link of your choice in your bio at the end of the article which is a great way to gain exposure to your own content. Please read these guidelines below. We are very specific about what we accept if you don’t hear back from us don’t take it to heart! • Spirituality, success, relationships, travel, health,fitness and finance are our focus so please submit articles around these topics. • Articles should be between 800-1500 words. We do sometimes accept long form articles but it is rare. • Articles should follow the style, format and tone of other Conscious Movement articles. • We recommend including images you would in the article or as the featured image (make sure you have the rights to them) but it isn’t absolutely necessary. We may not use them and we may choose to use our own imagery if we see it as a better fit. 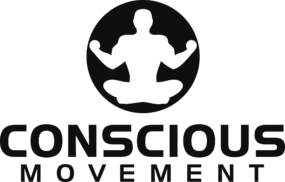 • We recommend adding other internal links to existing articles on Conscious Movement. • You cannot promote websites, products or services in the body of the article. • We will only publish original content so anything published on your own blog or repurposed in any way will not be accepted. • We reserve the right to edit any part of the article if we feel it will enhance our readers experience. • Short paragraph for your author bio with your first and last name. We allow you to provide one link of choice to your website, social media page etc. • Your article with a relevant eye catching title. This is important to maximise the amount of of reads it will get. Please send it to [email protected] with all of the above information preferably in a word document. We look forward to publishing the your content!